As an owner of a car from that era myself which has been with me for the past 7 years, I fully understand the constant maintenance needs on upkeeping a car this old. Years back, I have ever spotted this beauty with a set of different wheels, when Spoon monoblocks were almost unseen here. 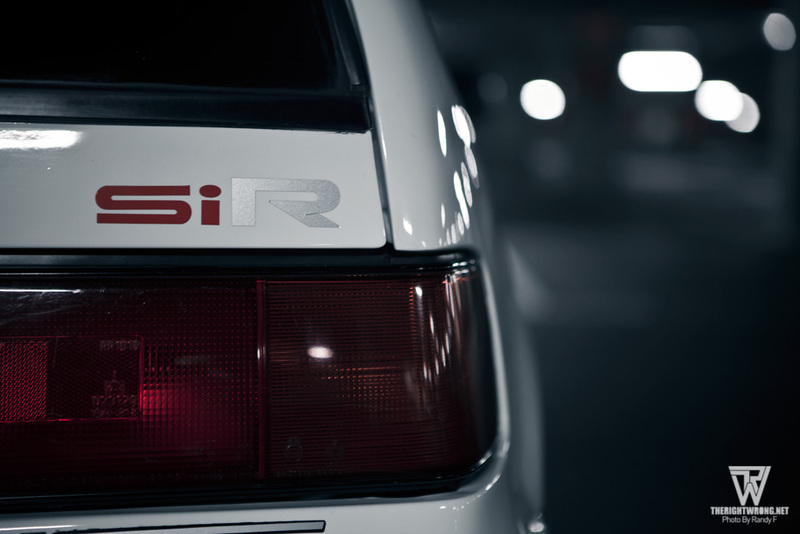 Currently however, it sits on a set of almighty-holy-grail-omg Works RSZ-R in 15″ configuration. The car has been painstakingly rebuilt with new engine components and exterior trims replaced to keep it looking fresh despite facing the the harsh weather we face daily. Rain or shine, the car is usually kept clean. I genuinely feel ashamed every time I drive pass the car and compare it to mine, something I do regularly as we park within the same vicinity. 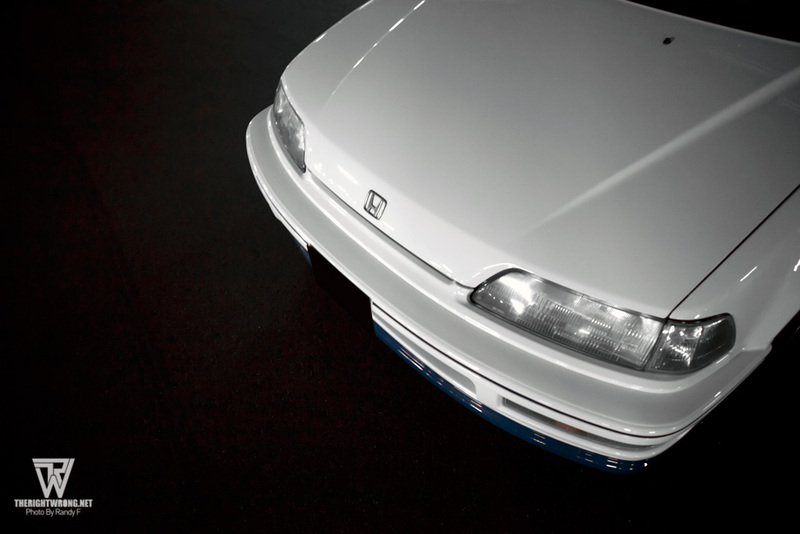 Its running full OEM EF-9 body parts as its difficult to find parts for the car and I highly doubt anyone makes copies of it in fiberglass locally or up north. There’s no stance movement or anything else of that genre found on the car. 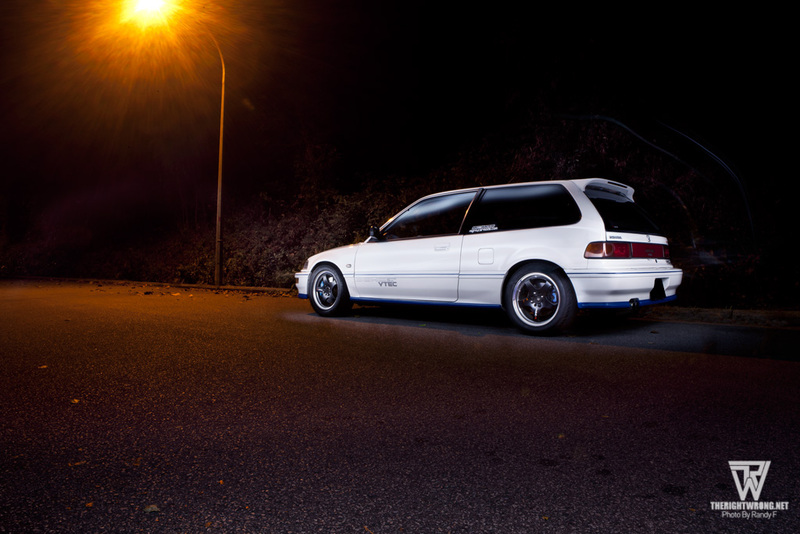 ::Phew:: Not like I am against the stance movement but some cars are best left period correct, and the EF9 is one of them. Everything put on the car has a sole purpose of function, no stretched tires on oversized rims, just grippy grippy Brigdestone RE-11s. Tein HA’s and a series of custom bushings from cusco and Mfactory parts complete the undercarriage of the darty little rocket. A full spot weld treatment has been performed to give extra rigidity to the aged tired chassis. 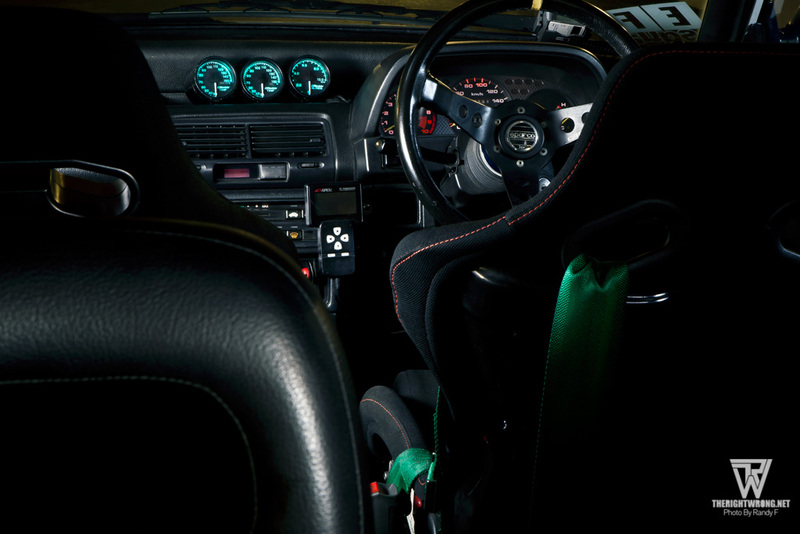 Optional JDM EF9 climate controls also found its way into the interior, attached to it is an Apexi PowerFC commander for on the fly adjustments. Following suite the 90s theme, backlighted GReddy gauges are used to keep the temperatures in check. 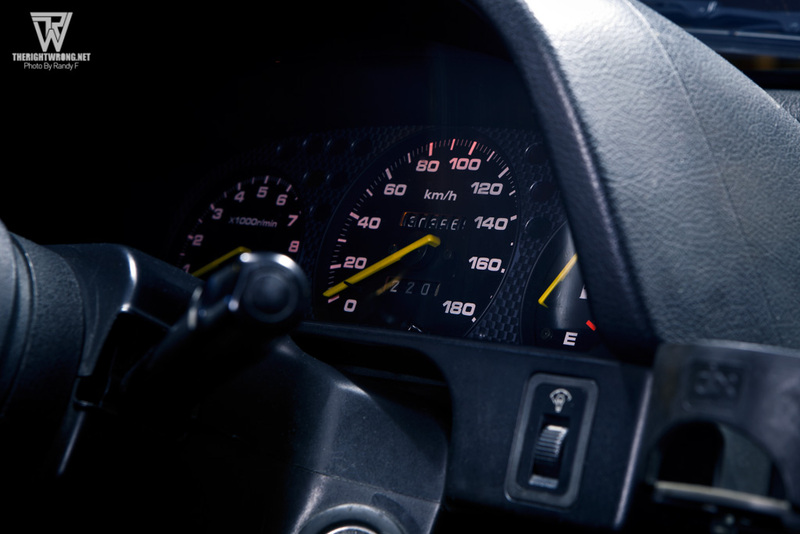 EK9 cluster was also retrofitted in the EF’s dashboard. 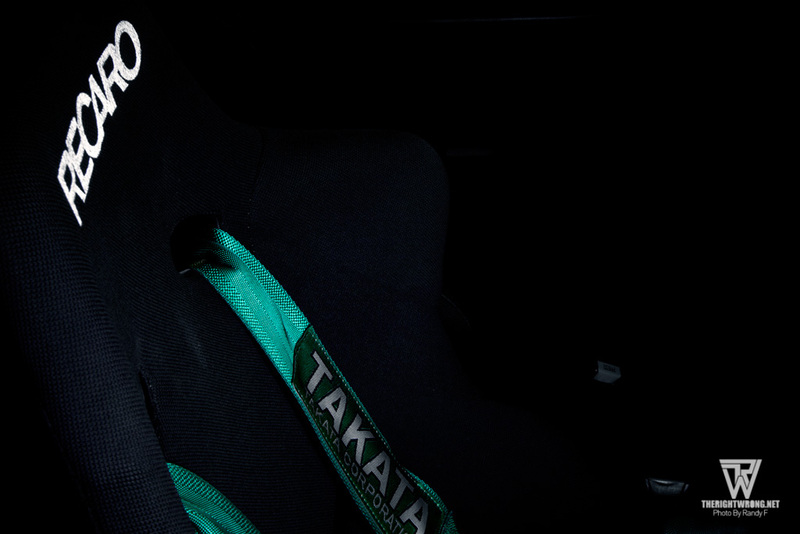 Strapping him in place for his trackdays are a pair of Takata harness and Recaro SPGs. 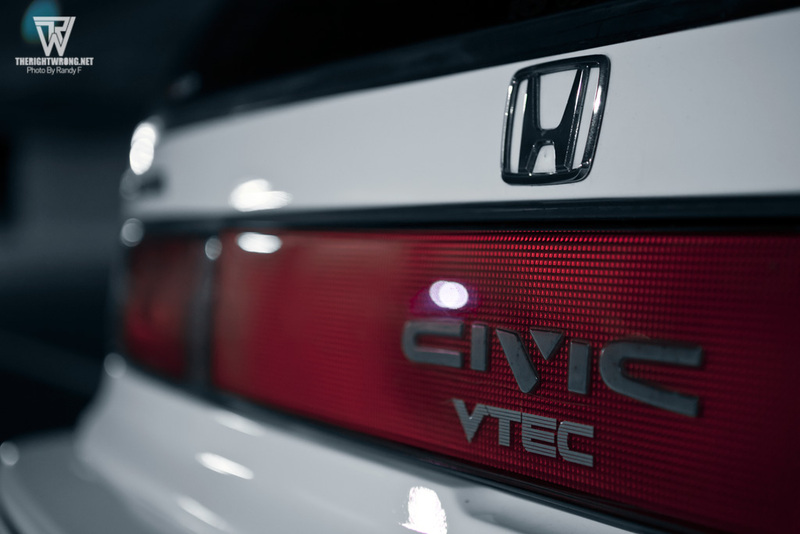 No hybrids here, just pure NA Vtec scream. I believe HongYao will keep this car in the family for years to come. Some people just don’t feel the need to care for what the main stream “car guys” have to say about older cars, that its not trendy enough or the power newer cars can produce with the new edge technology. I don’t think we would actually care. Its like so what the new GTR produces 182371824691263 HP, just give me a Hakosuka with the screaming triple carbs and life would be complete for me right there. The 90s shall live on.